On Thanksgiving day many Americans opted for video games rather than mashed potatoes as consumers spent their savings online while searching for the best deals. And then on Black Friday even more people opened up their wallets. Although plenty of people shopped this year, they actually spent a little less on average than in 2015. The holiday shopping season is crucial for the American economy because around 30% of annual retail sales occur between Black Friday and Christmas. And for some retailers, such as jewelers, it can be as high as 40% of their annual sales. According to one survey, nearly 55% of shoppers will start with Amazon.com. But traditional retailers like Target and Wal-Mart are doing well too, giving consumers bigger discounts to maintain market share. Ahead of key employment data this week investors get a second look at third quarter growth. The initial reading of 2.9% for the third quarter GDP is expected to adjust up slightly to 3.0. Forecasters from Bloomberg predict there will be 160,000 new jobs for the month of November. The official payroll reading due for release later today points to 175,000 new jobs created after 161,000 jobs in October. Many people plan to keep an eye on average hourly earnings and the average work week to figure whether inflation might be starting to slowly build in the labor market. The more jobs there are the money people can spend in the economy which benefits the bottom lines of retail companies. Wal-Mart (WMT) is a solid blue-chip company that will probably remain highly profitable for many more decades to come. The annual consensus for 2017 earnings per share for WMT is $4.32. In 2018 it is expected to rise to $4.34/share, before increasing again to $4.56/share in 2019 according to Thomson Reuters. The growth may be slow, but it’s also steady and not as volatile as other companies like Amazon. Although Wal-Mart is a great long term company to invest in, it may be difficult to recommend anyone buy into it now because its forward P/E ratio is relatively high at 16.5 times. Luckily Wal-Mart is surrounded by a strong economic moat that makes it very competitive against other brick-and-mortar stores. For example, the company has the advantage of being very large in size. Economies of scale can act as hurdles in distribution, utilization of the sales force, financing, and nearly any other part of a business for smaller or new entrants into the market. Wal-Mart also has a very popular brand. Brand identification creates a barrier by forcing new players to spend extra to overcome customer loyalty. If WMT undergoes a 10% pullback then I would consider buying some, but current it feels a bit too expensive for me. Right now there is a lot of expectation for Wal-Mart to deliver for its shareholders because of this holiday shopping season. But in the new year after the consumer enthusiasm has died down a bit I will take another look at this large cap stock. 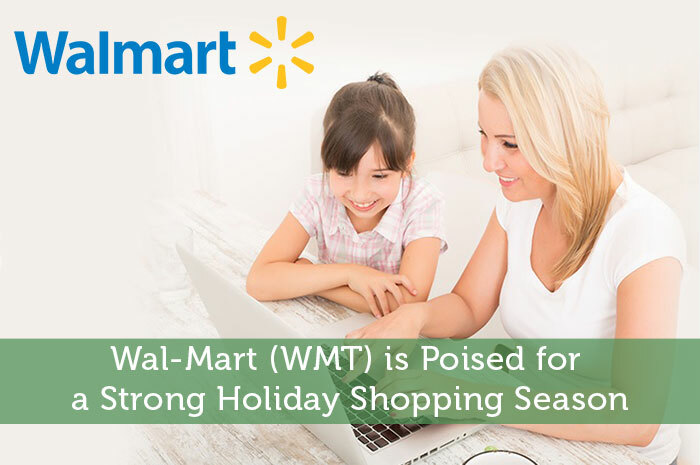 This author does not own any shares of WMT as of writing this post.